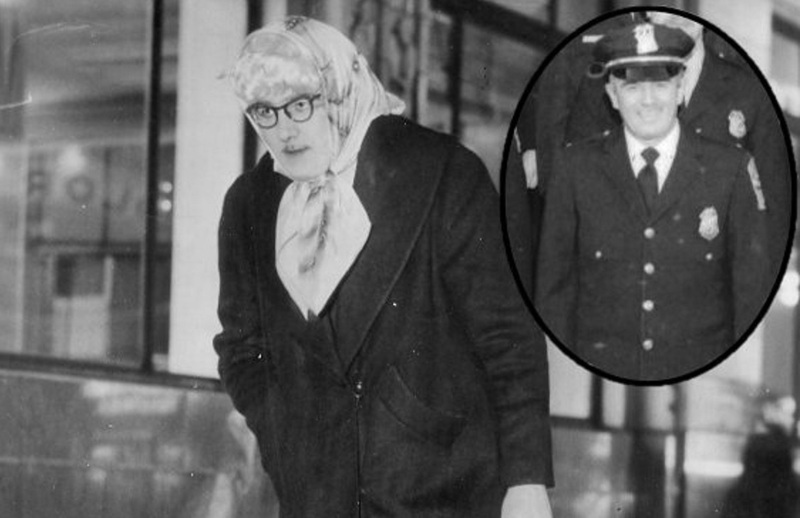 Was that 'Detective Doubtfire' prowling for purse snatchers 60 years ago? We're not sure he was fooling anybody. 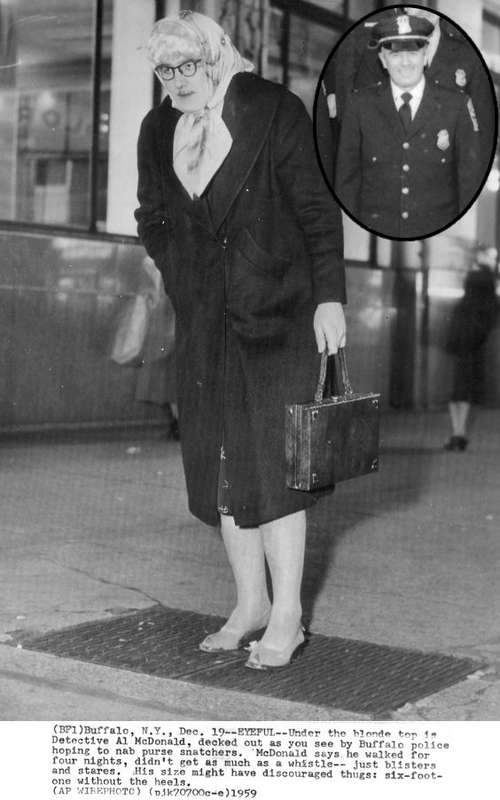 But that apparently didn't stop Buffalo Police Detective Al McDonald when he donned a kerchief, dress and heels to try to catch purse snatchers back in December 1959, as can be seen in this old Associated Press photo. The Buffalo Police Department posted the 60-year-old image from its Buffalo Police Then and Now web page on Facebook Thursday to the amusement of followers. Howard Goldman commented: "I didn't find out until the third date!" Here's the caption with the photo: "EYEFUL – Under the blonde top is Detective Al McDonald, decked out as you can see by the Buffalo police hoping to nab purse snatchers. McDonald says he walked for four nights, didn't get as much as a whistle – just blisters and stares. His size might have discouraged thugs: six-foot-one without the heels."